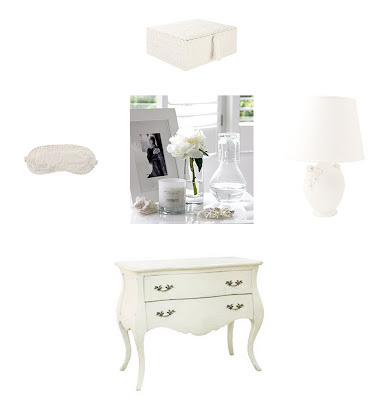 chic at home: spoil yourself.. I went for a lovely walk yesterday around Sloane square, and I always have a look in the White Company. Absolutely gorgeous, the furniture, linen, candles you want to buy everything!It is so tempting.. So..what about your jewellery?where are you going to put your fabulous pearls?Have a look in Zara there is a romantic Jewellery box in wood, lined in cotton and lace with a tassel on the clasp and only for 26£! !Make your self a nice organised corner with your perfume, jewellery, make up..